It’s officially craft fair season! With that comes tons of prep for the big day. 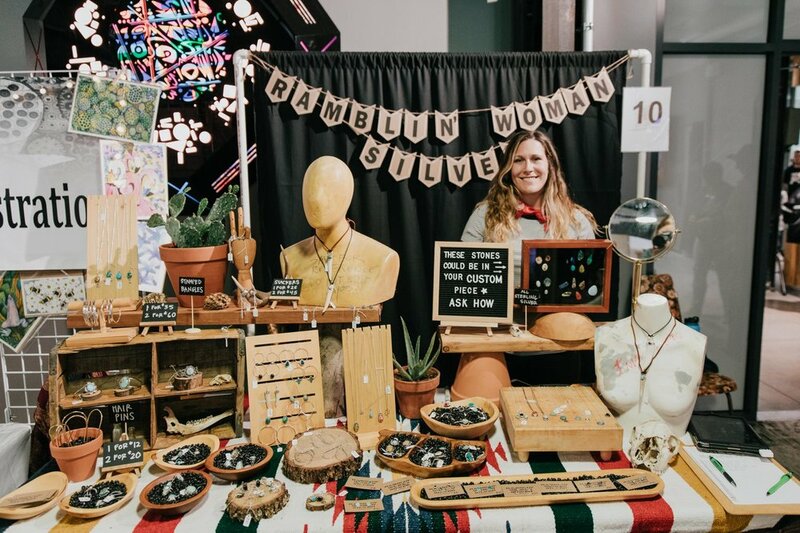 It’s easy for craft fair vendors to put countless hours into the creative process and product preparation but fail to prep themselves in small ways that make the day go by smoothly. Below, we’ve created a video with tips from some of our seasoned craft fair veterans on how you can set yourself up to have the best event experience possible. “I’ve always been inspired by the quote “Success is never final and failure is never fatal. It’s the courage that counts.” (Rumored to be from Winston Churchill, perhaps) It’s the perfect example of the struggle business owners face as they put their passion into the forefront and strive for success, sometimes stumbling along the way.” - Sara Diederich with Jackalope Arts. “Like most folks all of this started as an on-the-side thing I was doing in addition to a well paying full-time job. Once I realized it was going well - money was coming in and it seemed to have potential - I started thinking about quitting the day job and going full time. However, the good thing I did was to sit down with a friend who is really good with numbers. Once I had that we looked at exactly how much I would have to sell in order just to make that "nut" which was sobering. And then, almost more importantly, we also broke down exactly how much product I would have to make (not sell - just make) to meet that financial goal. I realized that I needed to raise my prices. I realized I needed to streamline how and what I made because it actually wasn't physically possible for me to single-handedly produce enough product (let alone sell it). 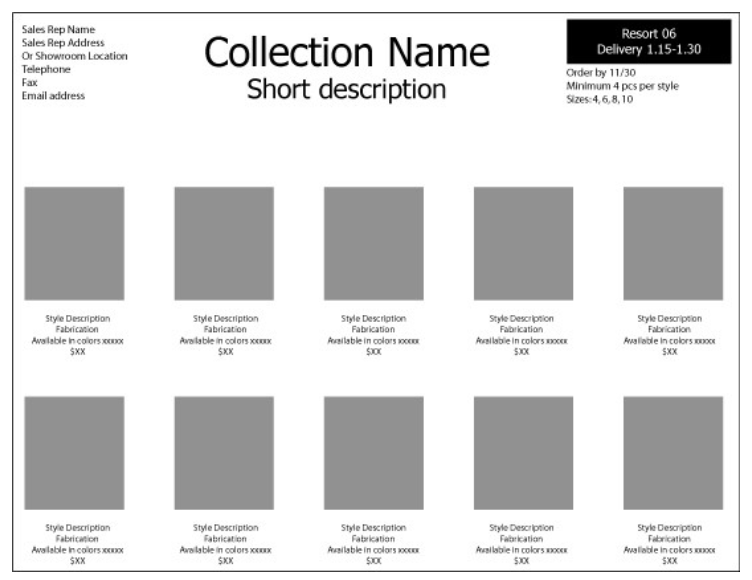 I realized I needed more sales avenues - online, wholesale etc. As you start to dip your toes into events, you'll find that many cities have a sea of choices. It's your job to weed through events and determine which ones are a good fit for you. What's the event's target demographic? Different events lend themselves to different audiences, so you want to make sure you find one that aligns with who you are as a brand. There is a distinction between Fine Arts, Arts & Crafts, and Flea Markets so what a show calls themselves can also be a good indicator. What does the event's marketing look like? You don't need to reach out to the event manager to answer this question. It can be as easy as a quick google search of the event, can you see if and where the event has been featured. Who is covering the event can be a big indicator on who is coming. After all, they should be marketing to their target demographic. What other types of artisans participate in the event? Can you find an artisan roster from past events? Or perhaps a quick scroll through the event's social media can show you photos. This will give you a good look into what people are shopping for when they come to these events and what is selling successfully. Look out for how they curate the event and make sure not one category is overly saturated. If you can visit the event in person first, that can help too! What is the average price point for an artisan selling? We always recommend featuring a variety of price points to attract a wider demographic. However if the event has an average price point of $5 and your lowest priced piece is $250, well that may not be a good fit. Does the event have qualification parameters? And do you fit into those parameters? Is the show for handmade artisans only? Is it juried? Does anyone who pays a fee get in? These are important things to consider before you send in an application. It will also give you an idea of the quality of work that is expected. No, not this kind of Jury! Creating a logo can be an exciting time when launching your business. It's a chance for you to show your audience what you're all about with one quick visual cue. There's a whole lot of pressure that goes into creating something that's relevant to you and timeless to represent your brand as your business continues to grow. Here are a few things to keep in mind when creating your logo! This is your chance to introduce your brand to the world. Your logo should speak to your target audience, and when designing, you must keep this in mind. A good way to start planning this is to write down what comes to mind when you think of your brand. Come up with some visual elements that you think represent what your brand means. Your logo is your quickest chance to set yourself apart from competitors. It's important that you stand out from the rest. Selecting a font can be a daunting task, with an every-expanding array of choices. Remember to choose fonts that have a timeless quality to them, and really speak to what your brand is. 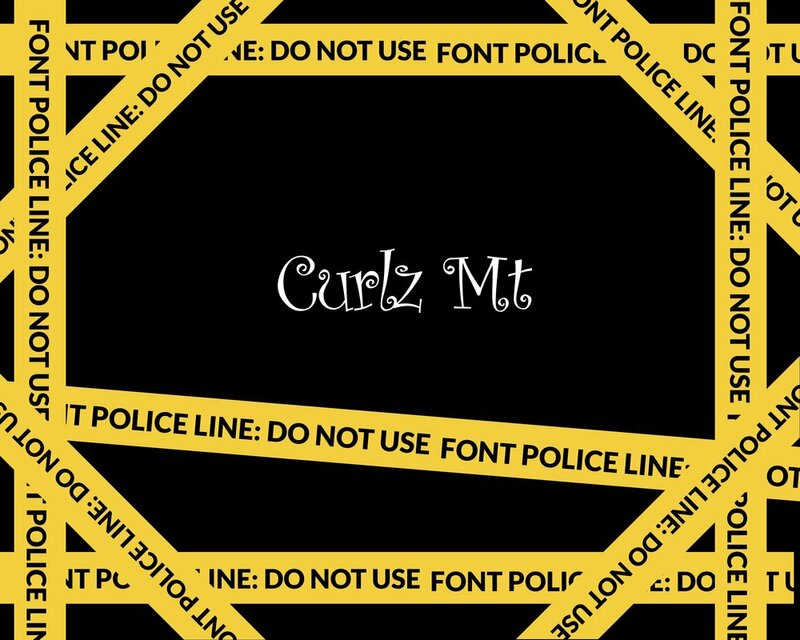 Don't be afraid to use rare and unique fonts to enhance your branding. The color palette that you choose to work with can mean a lot about your overall brand. Do you want to be bright and showy? Or muted and sophisticated? You want the colors you work with to represent your brand's message. While you want your logo to be interesting, you don't want your audience to have to spend too much time analyzing subtle nuances in order to understand it. If you have a tagline, make sure that doesn't take away from your logo by adding too much wording, your logo needs to be visually appealing. How did we choose our logo? We wanted the Jackalope to stand out and make a statement that was easily remembered. We also wanted to choose a font that was a bit edgy and colors that would reflect our brand and would carry into our remaining graphics and marketing materials. We worked with Ventura CA artist, Jonathan Blackburn, to create our logo. Stanley is with us throughout all of our event posters and promotions materials to help with brand recognition. Surely you've heard the expression to treat your booth as a pop up brick and mortar when preparing and creating a successful booth display. 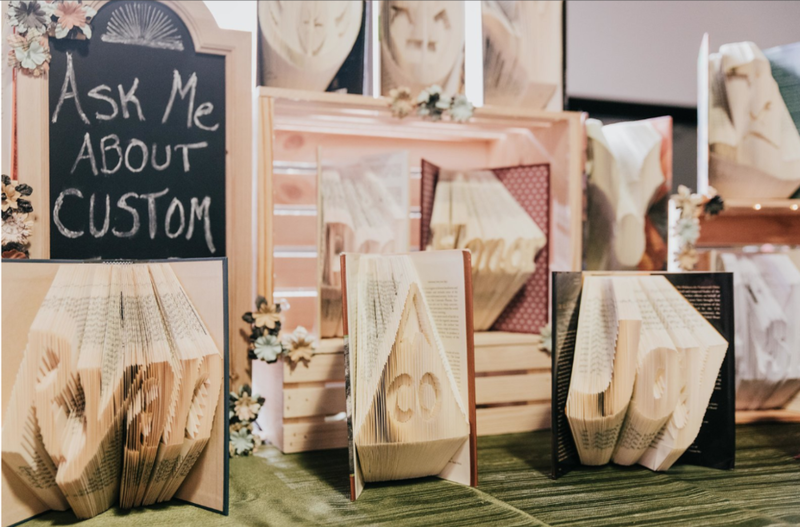 If you haven't, we invite you to read The Perfect Booth Display up on our blog. In a sea of booths, it is important to find a way to stand out. Your booth display is your first impression to shoppers. However, your impression doesn't stop building there. Just as you would expect from walking into a retail store, shoppers expect certain behaviors and experiences. You would not want to find trash laying around, or to not be greeted or offered help. For reference, we have put together a list of some common mistakes that can be made and things that you should keep in mind when selling at events. 1. Keep your booth tidy. As we mentioned above, it is not attractive to have trash or clutter while shoppers are trying to get a feel for your product. Your booth should reflect your brand in both how it looks and feels. Make sure you take pride in your work. Have a cohesive display and signage, price tags marked, sufficient product on hand etc. 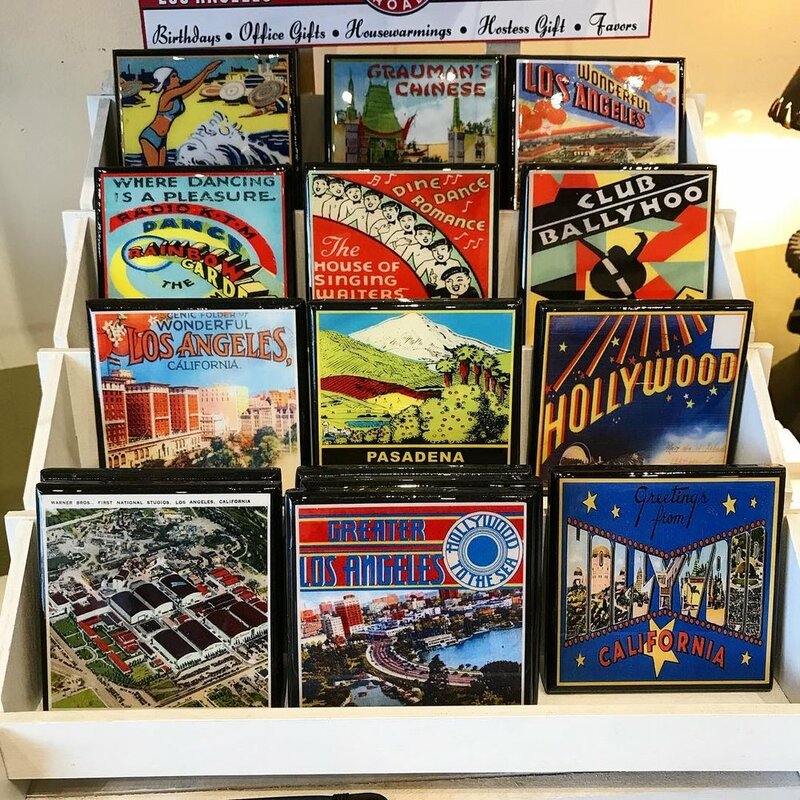 Amanda, owner of Mindfulnest and Jackalope Pasadena juror notes; "For me, having a vision with a complete story, your shop will evolve, but your passion needs to tell a story, retail is sight, smell and sound. People remember experiences more than things." Great booth display by League of Crafty Canines at Jackalope Pasadena. 2. Acknowledge your customer. No ones likes to be ignored. In fact, in a survey by Sunshine Artist, when asked if the artist talks to you, does that make you more likely to buy something? 83% answered that they like to be talked to...so speak up! It does not mean you have to be obsessive about it but be attentive and anticipate questions. 3. Put your phone down! it is not professional nor polite to be on your phone when someone is shopping at your booth. 4. Don't Whine. Having a horrible day, or did your significant other do something to really make you angry? Keep it to yourself. Shoppers do not want to hear your complaining while shopping. Especially if you are having a bad sales day, do not let that affect your ability to sell your product. There is nothing worse than hearing someone complain how slow it is, while there are customers shopping your booth and being ignored. 5. Have business cards. This helps to build up your client base post show. It's also super helpful when someone likes your work but can't commit to purchasing it right away. This way they have a way to get in touch with you and hopefully buy later. Or, if the purchase was a gift, the receiver should have a way of knowing who made their gift. Furthermore, make sure your contact information is correct and current. Shoppers shouldn't go home to a website that isn't working if they want to browse your site at home. 6. Take Credit Cards and have Change. In today's age, it is best to have a way to accept credit cards since many shoppers do not carry a lot of cash. On the other hand, If you have someone that wants to pay with cash, make sure you have change so you don't have to turn them away. 7. Do not pack up early!! This not only effects your ability to make sales but also your booth neighbors. Having you pack up early (even a half hour early) gives the impression that the fair is over and shoppers will begin to leave. Some of the best sales have happened with 5 minutes left. Target or Nordstroms don't close early, so why should you? We hope these tips help as you prepare for your next fair. And if you want to read more vendor tips we have more tips and tricks up on our blog! On today's blog, we'd like to introduce you to local photographer, Keith Berson. Keith has been kind enough to share his expertise in product photography to help us with a little "to-do" list for planning your own shoot and has extended an exclusive offer to our Jackalope Community! Hey there Jackalope community! I'm honored to be here as a guest blogger. I will tell you though, I am not a blogger or writer at all. I am a professional photographer who loves working with artisans, crafters, and designers. When an entrepreneur approaches me about photography for their product, I often find myself playing the role of a creative guide through the process. When it comes to creating imagery that represents your brand, you probably want various images for different uses. The more you plan your shoot in advance, the more successful it will be! If you have no idea where to start, then hopefully you will find this helpful. WHAT KIND OF SHOOT ARE YOU PLANNING? A great way to get started is by making a "shot list" of all the photos you want to create. This will help you figure out the size or scope of your shoot. Highly stylized images might be used for marketing via social media, on a booth sign, or on your website banners. It may be a still life of your product with other props, or an actual person interacting with the product. These types of images are meant to be narrative, and will help you connect with your demographic. You may also need basic product photos to be used for online stores, etsy shops, or to apply to sell in craft fairs. These shots are meant to show what the product looks like up close, without other objects to distract from your product. Often each product will need several angles, or extra detail shots to fully describe it. If this seems like too much to take on all at once, the best thing to do is to figure out what your top priority is. Once you have that first shoot day under your belt, you will be able to easily plan your next steps. Each shoot comes with its own set of preparations and decisions that need to be made, and after each shoot experience, you'll be more ready for the next one! Let's dive right in and say you have a group of products that you sell online and at craft fairs, and you need a group of images that show each of your individual products in a way that cleanly and consistently represents your brand. You might also need some group shots to show multiple items together, which would help convey your aesthetic. The simple and traditional way to handle this would be to shoot everything on a white backdrop. However, that doesn't mean you can't be a bit creative with simple product photography. It's perfectly fine to choose a colored or textured background that compliments your product or branding. Some examples of this could be a table top, patterned fabric backdrop, or organic elements. This shoot should be done in controlled lighting to be sure it will remain consistent, and can be repeated should you add more products. If you already have basic product photos, maybe what you really need is more stylized images for your website and social media. Grabbing people's attention online is often half the battle! If you're planning a still life or flatlay shoot, you will need to think about location, sourcing props and styling each set up. If you want to reach a specific demographic, you may decide that you need to have people interact with your product in the photos. Now you have to think about casting, wardrobe, hair & makeup, location, and possibly permits to shoot. Every product comes with its own unique challenges, but there are plenty of ways to make your product look desirable to potential shoppers. Photos are an essential part of your business, and the more preparation you do beforehand, the easier your shoot will be! Plan a prep day before the shoot to get everything organized. Double check you have all the products ready and safely packed for shoot day. Look very carefully at all your product to make sure it is photo ready, meaning it's the best example of what you have to offer. No crooked labels, scuffs, or scratches. Go though all your props and organize them as well by shot so nothing gets forgotten. Most importantly, find experienced team members that can be an extension of your creativity, and help actualize your vision. Communicate with your photographer (and stylist if you hired one) so your goals are clear. Give photo examples of other brands that are doing something similar to what you want to create. Don't try to take on more than you can handle in one day. You don't want to be distracted by missing products or props, cleaning or prepping product, giving directions to lost team members, figuring out lunch or coffee, or any other unforeseen occurrence. If you think through your needs ahead of time, then on shoot day, you and your photographer can be focused on the creative side of things. Remember that photos are the #1 way to show people your brand! Keith is always available to give free consultations to anyone planning a photoshoot. Sometimes you just need someone to ask you the right questions to get you going in the right direction. In addition, Keith will be offering special pricing to the Jackalope community! 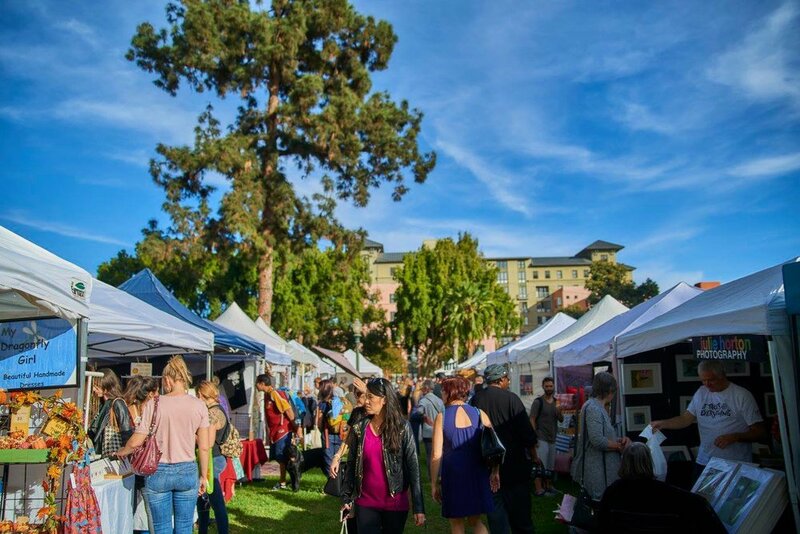 Anyone who books and completes a shoot before the Spring Pasadena 2018 Jackalope Artisan Fair (coming up on April 28th & 29th) will receive a 25% price reduction on photography services, just mention Jackalope when booking!